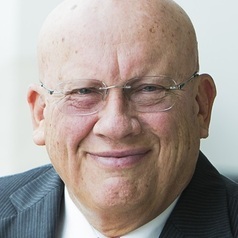 Professor Peter Swan AO AM FASSA is currently in the School of Banking and Finance, Australian School of Business, University of New South Wales (UNSW). Swan completed his Honours Economics Degree at ANU, his PhD at Monash and after visiting positions at the University of Chicago and Rochester, joined the Economics faculty at ANU, then to a chair at AGSM, and was foundation professor in the Finance department at the University of Sydney prior to returning to UNSW. He was also recognized in the Queen’s Birthday Honours list in 2003 with the Order of Australia (AM) and elected a Fellow of the Academy of Social Sciences in Australia in 1997. He undertakes research into corporate finance, corporate governance including board structure, executive compensation, stock market trading and design, M&A activity, and many other areas of finance and economics. He has a significant public profile as an op ed writer for major newspapers. Peter has published over 100 articles and book chapters, with 49 articles in refereed international journals. He received distinguished awards in the form of UNSW Scientia Professor and ARC Professorial Fellow and has presented at top international conferences including WFA, AFA, EFA, FIRS, and Econometrics Society World Congress.